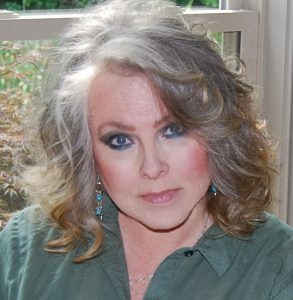 Interview with Author Cyn Taylor and a Giveaway! Welcome to Readers Write to Know! 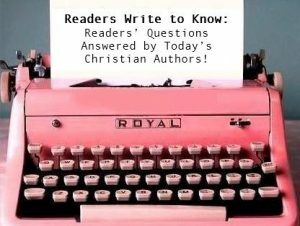 I asked you, my readers, what questions they would ask their favorite authors if given the chance, and the authors visiting my blog answered them! This week, I’m pleased to introduce you to former photojournalist turned Christian author, Cyn Taylot! Cyn is giving away an ebook of winner’s choice of one of the two books in her current series, so read on to see how you can enter to win! Tell us a little bit about yourself: I retired from my job as a freelance photojournalist to become a full-time writer. I have been married to my high school sweetheart for 46 years, am a mother of two adult children and grandmother of seven. 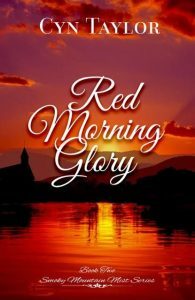 Tell us about your current release: My latest release is Red Morning Glory. Glory Donaghan has a wonderful church, a devoted family, and a flourishing career. She feels God’s hand on every aspect of her life. That life flips when Glory awakens in a hospital bed accused of drug abuse by Tanner Slade, a man she’d just met. 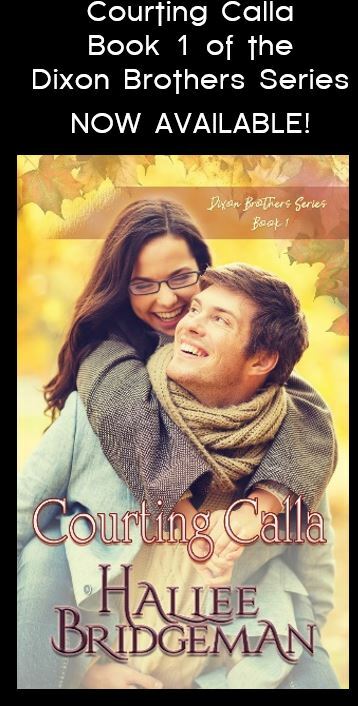 Her problems compound when the infuriating angler continues to involve himself in her life. When Glory tries to help an abused teen, more complications arise, and her own life is threatened. Her perfect world disintegrates, along with her faith. Tanner Slade knows drug users are deceptive and fights his growing attachment to Glory. He refuses to allow his heart to rule his head a second time. Presented with an opportunity to leave Tennessee and the turmoil behind, Glory battles her conscience while Tanner Slade engages in a war with her heart. The romantic setting of the Great Smoky Mountains and the sport of fly-fishing bring Tanner and Glory together. Their conflicted hearts need a lesson in trust, if life will allow them time to discover their true path. My husband fly-fished so writing a book with details of the sport was so easy. he coached me through a lot of it. If you knew ahead of time your book would benefit only one person on their spiritual journey, would you still write it? 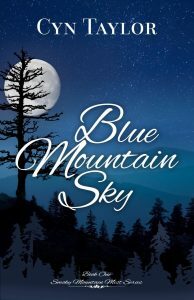 Would I still have written Blue Mountain Sky if I’d known beforehand it would benefit only one person on their spiritual journey? Absolutely. Every soul is precious to the Lord. One of my hopes in writing faith-based romantic suspense is that someone who reads it might be drawn to Christ. Do you feel pressured to compromise your standards in order to reach a larger audience or be more successful? I have never felt pressured to compromise my standards to reach a larger audience. If I relied on income from book sales I would be in a heap of trouble. I love to write and consider starting a new book fun from beginning to end. I have often said in interviews that when writing ceases to be fun, I’ll stop. What is lacking in Christian fiction? What I once thought is not so true as when I started writing my first published book. I tried to read CF many years ago and found that I was BORED!!!! The stories were slow and uneventful. No antagonist and little action. So I stopped reading them and decided I would try to write CF instead. Since then, the genre has added many new authors and the books are better written and most can hold my interest. How did you determine whether to self-publish or seek a traditional publisher? I actually Indie published my first book on Amazon under another title. Funny thing is I received an offer from my current publisher within a week of that, with the stipulation that I remove it from Amazon and change the title. I was happy to do that to get to sign a contract with a traditional publisher. Amazon makes it so easy to publish with them you are competing against thousands, if not millions, of other Indie authors. But that is also true with traditional publishing. Regardless of the route you take for publishing, promotion is the author’s job unless you have signed with a major company. I have been published for less than two years at this point, so I am not an expert on which route works best. I think that should be determined by the author to see what best suits their needs. What advice do you have for aspiring writers? This is also my standard answer in interviews. Stephen King says you aren’t a writer unless you spend at least two hours a day writing. Don’t tell my publisher, but I rarely get to spend that much time writing every day. I think all aspiring authors should read Stephen King’s book On Writing. It doesn’t matter if you like his genre (I don’t usually. Not a fan of horror.) He is an amazing writer who can turn a phrase on a dime. When I was working as a reporter I always kept my digital tape recorder in my hand. I find this works well for writing too. No matter where I am, driving, reading, watching TV, I can grab it and record my thoughts. I have gotten some strange looks in public though. Doesn’t bother me. I try to attend at least one writers conference every year. Some you learn a great deal at and some seem like almost a waster of time. Usually you can learn at least one thing that benefits your writing at any conference. What is your inspiration for writing? I write for my own pleasure but with the hope that my stories will be entertaining and original for my readers. I work on multiple books at the same time. Right now I am working on finishing book three in the SMM series, a YA fantasy, a suspense/thriller and a comedy co-written with my daughter who is also a published author. Where’s the strangest place you’ve ever had a great writing idea? When the idea for Blue Mountain Sky popped into my head I was doing an EEG (electroencephalogram) on a patient in a neurologists office. I worked in the medical field for twenty-five years. Book two and three came as I was working on book one in the series. Many times my books come from titles that just pop into my head. I am a strange writer and a pantser! Find Cyn online at her blog or on Facebook. Cyn is giving away reader’s choice of an ebook of either Blue Mountain Sky or Red Morning Glory! 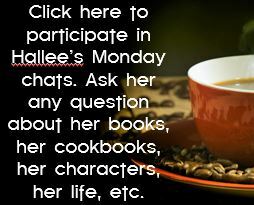 This entry was posted in Blog, Hallee's Interviews with Christian Authors and tagged author interview, blue mountain sky, cyn taylor, interview, readers write to know, red morning glory. Bookmark the permalink. 8 Responses to Interview with Author Cyn Taylor and a Giveaway! Your books sound very interesting. Loved the interview! Sounds like a good book! Ooooh! I have considered photojournalism as a career before. Haven’t gotten into it but I love photography that tells a story. I do agree that a lot of Christian fiction is dry. I think that’s why I’ve always loved Frank Peretti and the like because they aren’t afraid to write something that makes you think. I look forward to reading your stories! The k you for making time for this interview with Hallee! I agree, when I read Christian Fiction a decade ago, or even 2 decades ago, I was unimpressed. I’m much more impressed now with the caliber of authors and stories produced. There were actually good authors 10 and 20 years ago, but I feel there are MORE now than there was back then. The indie market has exploded of course and brought to light more authors, and more need for big publishing houses to compete. I think with social media so prevelent now, it’s been a lot easier to discover quality Christian fiction. Thanks for the interview!